If you’re looking for a clean slate upon which you can decorate your table with whatever you choose, a plain white tablecloth is just what you need. 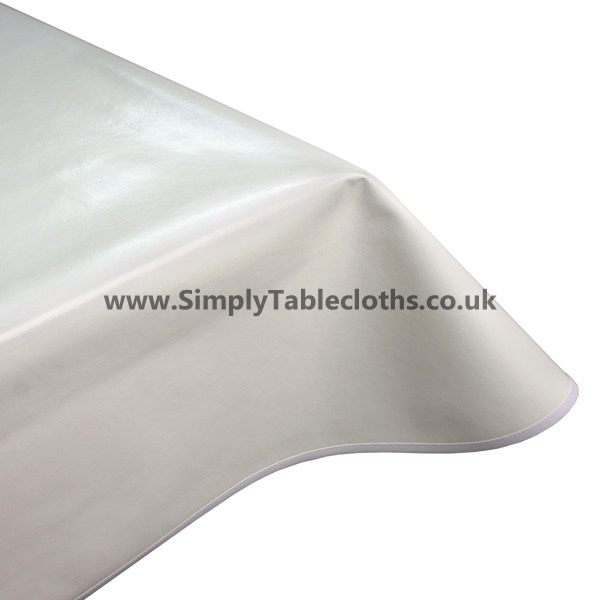 This vinyl tablecloth has a gloss finish that will give the table a subtle shine. Pair it with whatever décor you choose for the perfectly decorated table. Easy clean finish means that your table will keep it’s pristine look all the time.